Lincolnshire member Tom Wells has been named winner of the 2016 senior member of the year. While thousands were socialising and competing in other competitions, the 26-year-old from Brigg YFC, along with six other members, were being put through their paces to earn the prestigious title. Hailing from Barnetby le Wold, near Brigg, Tom works on his family’s 162-hectare (400-acre) farm growing spring barley for malting, vine peas for Birdseye and other mixed crops. Following in his parents’ footsteps he joined his local YFC club in 2006. Over the course of 10 years he has undertaken numerous roles including programme secretary, club chairman for two years; county vice chair, county rally chairman, agri steering group and CEJA (European representative). On winning the award, the club leader was clearly overwhelmed and spoke of the tough process in achieving the end result. 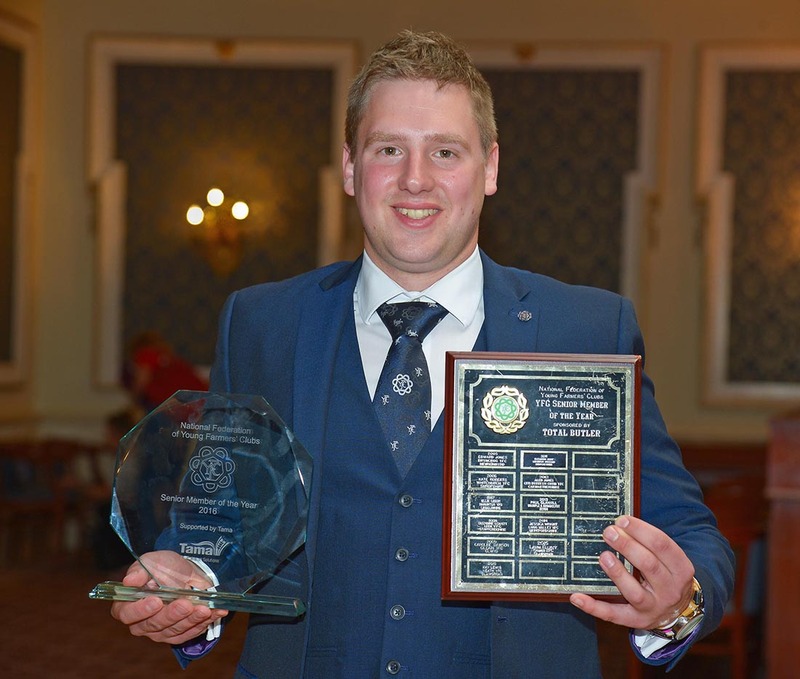 “Winning this award has been the most proudest moment of my time with YFC. Outside of YFC, Tom runs his own 70-strong flock of North Country mule ewes alongside his girlfriend, Lizzy, and her parents who have pedigree Herefords and British Blues. When asked what made the Young Farmers movement so unique, Tom credited both members and staff. “The members are its strength and the work that goes on day in and day out to make clubs work. “The staff that organise the members are special as are the clubs raising money for charity that don’t always get recognised. Alice Giles of Devon YFC was named runner up and Harriet Wilson of Staffordshire was in third place. AGM 2016 - In or out? What will Young Farmers be voting on 23 June? The last time I felt sick with nerves: Before today’s final it was the night before our pre-rally, which I am organising, and my nerves will now be on our county rally in May.